This is what we in the business call, “Not good”. This was the “OSIRIS” variant of Locky and looked for about $4k in ransom. According to one article, the chief said. “Our automatic backup started after the infection, so it just backed up infected files” which sounds more like replication than backups. It could also be a gross misconfiguration of the backups, either way, the data is gone. The press release states that this is the result of a phishing email, which is very typical of this sort of thing. Lots of new stuff happening this week in the ransomware side of the house. In addition, you still need to be watching for W2 scams as they are starting to get reported. Having said that, here is my wrap up from the last week. Scammers are always looking for ways to get you to click on things. This one can prey on your fear of stupid things you may or may not have done on camera. Not saying this would get to me, but there might still be a video of me singing, “Any man of mine” during a tequila-fuel karaoke session a number of years ago. We all have that moment, right? Even if you don’t care to admit it, we are curious about what we may be in, and the scammers are using this to get to you click on malicious links, in this case phishing for credentials. Be careful folks. Fortinet researcher Kai Lu, discovered this new threat. 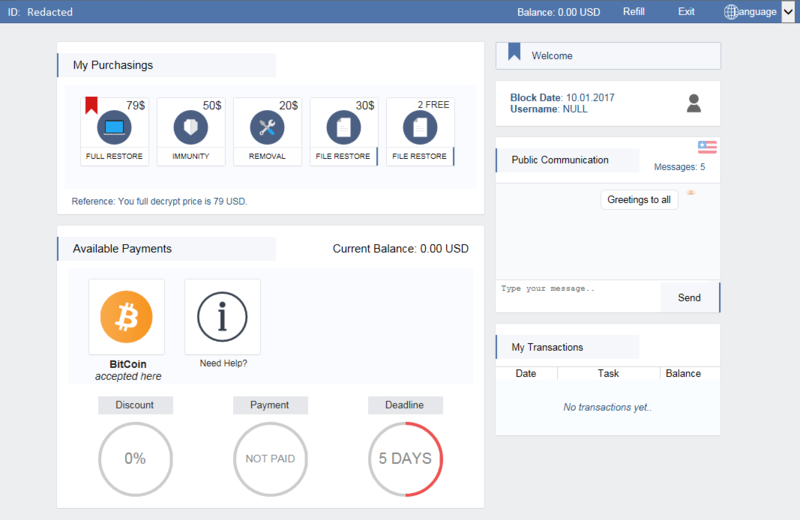 It appears to be targeting only Russian-speaking users, but it demands a HUGE ransom of about $9100 (545,000 Russian rubles) via credit card. I’m going to take a quick look in my crystal ball and say that I don’t expect this to actually work. You can buy a LOT of phones for $9100, and would you trust them with your credit card number? Yeah, no. Who knows though, perhaps it’s demonstrating a proof of concept. Xionmai’s 2017 list of superuser passwords for certain DVRs was found on a LinkedIn page. This list is designed only for CCTV installers to access customer installations and is essentially a one-time pad or per-day superuser password for their DVR service. It appears to only impact versions sold in China, but it’s representative of the security practices of the org. They didn’t pay, but it messed things up for a couple of days. I can’t imagine the tension in the libraries over the couple of days this was going on. Hell hath no fury like a librarian slightly annoyed! 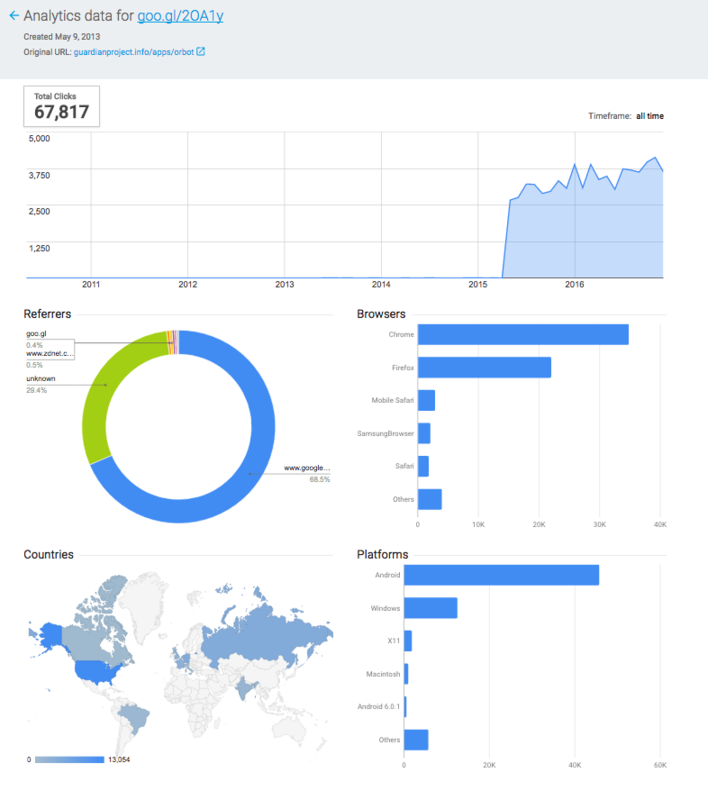 19,000 records were impacted. Because it’s healthcare, it’s considered a breach by the HHS. Not a fun thing. Reading between the lines, I would have to guess that the data was not encrypted when the ransomware hit, otherwise they could argue the breach classification down. Popeye’s got, well… popped. 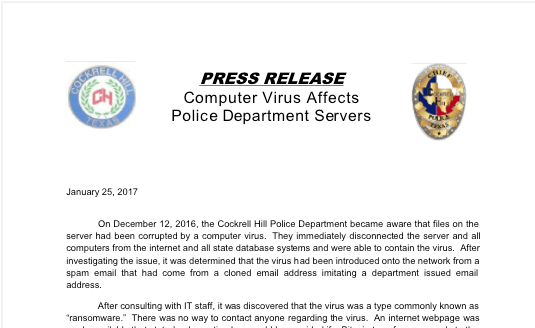 Malware was found on computer systems at seven Houston area locations. It looks like it was there between May 5, 2016 and August 18, 2016. New Satan Ransomware available through RaaS. A security researcher, Xylitol, discovered a new Ransomware as a Service, or RaaS, called Satan. This is a profit-sharing type of ransomware, kind of like a bad lawyer in the fact that if you don’t win, you don’t pay. 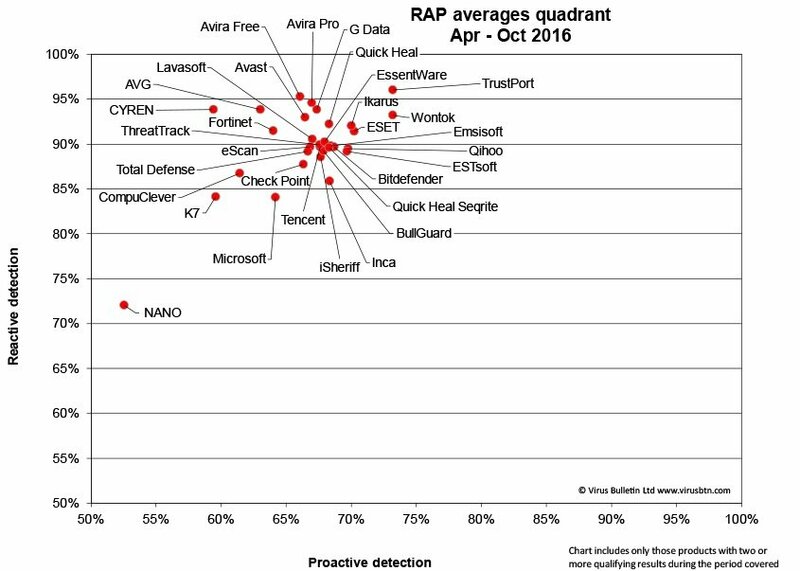 RaaS developers take a 30% cut, and the scales slides down from there based on number of infections. RaaS means that scammers don’t have to have many skills to spread this sort of ransomware. We will start seeing a lot more of this moving forward. One new Locky campaign is being called ‘Double Zipped Locky’ where the idea is to hide their malicious payload in a Zip file within a Zip file, hoping that the victim will think they’re opening a document. It also drops the Kovter Trojan which remains on the infected system and is used to run click-fraud and malvertising campaigns. There is some interesting new info out about Spora. This ransomware offers an option of future immunity (for a fee), does not need a C&C server so blocking outbound communication doesn’t help, but the new stuff is, it adds the ‘hidden’ attribute to files and folders on the desktop, the root of USB drives and the system drive. These files and folders are now hidden by the standard folder options. It then makes Windows shortcuts with the same name and icon as the hidden files and folders. The .LNK files open the original file while also executing the malware and the worm. Pretty tricky. It looks like Spora is the variant that hit a nursing school recently. An instructors files were unreadable on home PC, so he brought them in on a USB drive to try it on a work machine. It did not end well. A school district in Argyle, TX got hit with a W2 scam that looked like it came from the District Superintendent. The email requested the 2016 W-2 information for all employees of the district and the employee sent it. This really happens folks, and now all of these people are at risk for fraudulently filed tax returns and identity theft. We need to spread the word about this, especially this time of year. Sage 2.0 is demanding a $2000.00 ransom and is being spread by the RIG and Sundown exploit kits. This is also exfiltrating the data hidden inside a .png image by steganography. I have been saying that I expect to see more strains doing data exfiltration, and this is an example of that. W2 Scams are Happening Folks! If you have been to any of my talks and/or read many of my posts, you know that I have been preaching heavily about W2 scams this time of year. Scammers are hitting up folks with spear phishing attacks asking for W2’s. these look legit and appear to be coming from a person high up in the food chain. I have seen this personally and only the training my people had, and my open door policy, saved our bacon. “District leaders said Wednesday an employee got a “phishing” email that appeared to be from the district superintendent. I have spoken with FBI Special Agents that tell me that they have seen tax returns filed within 2-3 days from an event like this. Don’t be that guy/gal that let’s all of your employees lose their PII like this. Teach your people about the threat ASAP! Before we get started on this weeks wrap up of important things in the infosec world, in light of the inauguration tomorrow, I just wanted to remind people to treat each other kindly regardless of political opinions. Politics is no reason to treat others without respect. Let’s be good to one another and see how that makes you feel. While this doesn’t mean it’s time to yank all the AV off your machines, it is a reminder that endpoint protection should not be your only bacon-saving countermeasures. Many tears have fallen, and much bacon has not been saved due to the “all the eggs in one basket” mentality. Think of the bacon, think of the eggs, and incorporate a defense-in-depth approach that reduces the most risk with the least effort and cost. *cough* *cough* User security awareness training is a huge part of this and is known for it’s bacon-saving properties *cough* *cough*. I must be hungry. about 1-in-3 NHS trusts have been hit with ransomware in 2016. 80 per cent if these were targeted by a phishing scheme and Imperial College Healthcare in London was smacked 19 times in just 12 months. This is not new, I have previously talked about this, but it’s a powerful reminder of just how prolific ransomware is, and the fact that most of it is being spread by email. This may be one of the biggest threats to hit the UK since Jeremy Clarkson. Stay safe out there. Scammers are hitting up tax professionals in an effort to compromise their systems and then use the info to scam others in to sending their financial info, resulting in false returns being filed. This is a pretty interesting 2-part scam. There is a nice email blurb here that you can use to warn folks you know. Be safe and pick up the phone if your info is requested. Watch for this one. 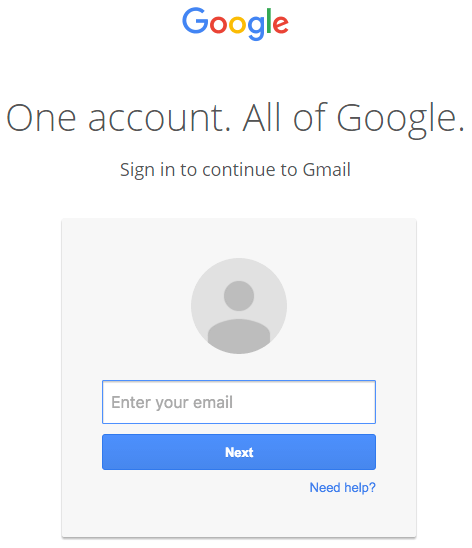 They use a traditional account credential phish to get started, then look through past emails to create new messages to your contacts. They are using email attachment names and subjects similar to ones that have been previously sent by the original victim, so the new victims trust where it came from. Simply teaching people to look at the address bar before they enter any credentials will keep you safe in this attack, sadly not everyone gets good quality awareness training. This shows an example of a .pdf with a malicious link. Keep in mind, the file is not infected so it will pass any AV tests, but following the link will make a person have a rather bad day. In this case a simple link hover shows it’s not legit. This is a simple skill that users really need to know about. Not a shocker mind you, but attempts at fraudulent digital retail sales was up 31% on an increase of 16% in e-commerce transactions over 2015. That’s over 12 million pages of data. I will not be reading them all, instead I will rely on the interwebs to let me know about the interesting bits, and will pass them along to you. So far, the most interesting thing I saw was a Dilbert cartoon that may have previously contained steganography. Stego fascinates me. It wasn’t even a particularly funny cartoon though. There is a special place in the circles of Hell for people that mess with orgs like this. This is a cancer treatment org that provides free treatment for those unable to afford it. This was a $43,000 ransom, which can go a long way to providing treatments for folks. One thing to consider here though, I have mentioned before that I expect to see Doxxing and other behaviors like this increase. Since the software takes control of the files when it encrypts it and the bad guys have the keys, there is no reason the data cannot be exfiltrated and decrypted by the bad guys. This is why the HHS says it’s a breach by default. Sadly, I expect to see more of this behavior. Like the recent MongoDb attacks, the bad guys are going after unsecured Elasticsearch databases, encrypting them and demanding .2 BTC (about $175) to get you back your data. If you run an Elasticsearch database, it’s time to lock it down. Here is some help to get you started. I have to admit, I LOL’ed at this video. It’s a bit mind boggling to watch, but entertaining. I even got to where I was rooting for the guy a bit. My Brethren are not to be trifled with! The Cyber Squirrel 1 project released the results of a study at Shmoocon, showing that squirrels top the list of power grid attackers, followed by birds then snakes. I personally have felt the effects of a rodent-related power outage at a previous job. It is rumored that only a smoking tail and pile of ash remained when a squirrel chewed through some wires as a substation, causing a pretty decent outage in Tucson. Furthermore, my brethren have been blamed for the deaths of six people, allegedly (they have not been convicted in a court of law) caused by squirrels downing power lines that then struck people on the ground. “Rodent-related airborne electrocution” would be a pretty crappy cause of death if you ask me. Fear the fur people, fear the fur! I was able to present 2 sessions, one was on social engineering and the other specifically on ransomware. The crew did a great job putting the event together, even though the waffle truck broke down several blocks away. Waffles on Wheels, sounds right up my alley! 😀 This picture was taken a little before the social engineering session started. By the time we started, it was standing room only. Thanks everyone for attending. Chelsea Manning’s sentence was commuted. I’m not even getting in to the politics of this here. Just know, after a bit over 7 years, Manning is being set free. I hope you enjoyed this weekly update. See you next week! I am running for a spot on the (ISC)2 Board of Directors. Please check out this post and sign my petition if you are a member. Thanks! This is an interesting strain of ransomware. It offers an option of future “immunity” for a fee. The ransom is calculated and can vary as well. Finally, it uses Windows CryptoAPI for encryption and doesn’t require an outside C&C server infrastructure. This all makes Spora a very unique strain. They even have a really nice victim landing page and offer tech support via chat. There has been quite a stir about this issue and I can see why. These techs are being incentivized to search the computers without a warrant. While I support reporting things if they stumble across something, the way BestBuy is doing this is ripe for abuse and if the techs are actively seeking out things like this, bypasses the rights of the individual with respect to search and seizure. Also, how can you feel confident that the tech wouldn’t plant things to make an extra few bucks for themselves. It’s all a bit too slimy for me. If you have felt like there has been a short break in some ransomware attacks, you aren’t alone. Locky has been pretty quiet for the last few weeks, but it’s not expected to stay that way. Take this slack time to check your backups and get yourself prepared. It’s not going away in 2017, we know that. In a monumental “Oh crap” moment, an Australian bank let loose of 60,000 of its customers’ account details. The National Australia Bank (NAB) sent confirmation emails to 60k of its customers. They cc:ed themselves on these for record, but sort of messed up their domain name. You see, they cc:ed nab.com instead of nab.com.au. nab.com appears to be a… well… sort of… “dating” site? Whoops. They aren’t really sure if the emails were bounced or what happened to them at this point. Los Angeles Community College District (LACDD) ended up paying a ransom of $28k, a choice indicative of not having good backups in place. Weapons-grade backups folks! Test them and monitor them. The E-Sports Entertainment Association (ESEA) did not fold to an extortion attempt and the bad guys released about 1.5 million player profiles. There were over 90 fields in each record including registration date, city, state (or province), last login, username, first and last name, bcrypt hash, email address, date of birth, zip code, phone number, website URL, Steam ID, Xbox ID, and PSN ID. If you were hit with this, there are a couple of decryptors available right now. Check it out if you have been impacted. I am running for the (ISC)2 Board of Directors in 2017, and need to collect 500 emailed signatures for the petition. See why I want to take on this volunteer responsibility and how you can help in THIS POST. It only takes a moment and I really appreciate it. Here is to hoping this year will be a fun and prosperous one. I for one am going in to this year with a positive attitude and a smile! I have a webinar on Thursday the 12th at 2pm Eastern, and will be speaking at BSides San Diego on both the 13th and 14th. If you want to hear my melodious voice or meet me in person, I cordially invite you to join me. So, fake job apps are being sent to HR departments in an effort to infect them with ransomware. This is the GoldenEye strain (a Petya variant) that is looking for 1.3 Bitcoins. This appears to come with 2 attachments, a clean .PDF and an Excel file with the payload. If you have trouble, this variant is offering tech support. Isn’t that nice. This is basically being called Photoshop for audio. If you can provide it with about 20 minutes of that persons voice, it can recreate it exactly. That’s bad news for vishing schemes and anything that uses voice recognition for authentication. Ransomware for good, not evil? Not sure what to think about this deal. The ransomware unlocks your files for free if you learn a bit about avoiding ransomware in the future. I guess they are thinking they are doing the world a favor, but keep in mind, if you fall under HIPAA, according to the HHS, any infection by ransomware (or any malware) is an incident, and if it affects >500 records, it’s also a breach by default. You can argue out of it, proving the files were already encrypted for example, but nobody needs that kind of trouble. Among other things, DFS changed the wording so that they have 72 hours after DETERMINING a breach to notify DFS, as opposed to 72 hours after the incident happened. Given that we usually don’t know that quickly, it was an impossible rule. There are other changes as well, so check it out. Really, it was pretty simple, but hey, it was nice of them to do it. Maybe the family will be a little more careful what they download in the future. I’ve seen a metric ton of them flying around. Norman Schwarzkopf and Bob Denver were at least two of them that have been dead for years. Check sources before sharing folks, please? It seems that Cerber attacks have been on the rise over the holidays. Remember to check links before you click on them. Security Awareness Training is still the best defense against this sort of attack, and it’s not expensive. Train your users, PLEASE! Lost data includes names, addresses, email addresses, phone numbers, credit or debit card numbers, card expiration dates and card verification numbers. There is no reason they should be storing CVVs. I’m hoping there is a fine in order for this. So, I have this email with a Short URL link. What now? These days, you are liable to see links that are known as “Short URLs” without even realizing it. These are very helpful in situations where you are limited to a certain number of characters or a long URL does not look good, and are now often done by software and social channels automatically. This is wonderful, except that they hide where the link will take you. The bad guys know this, and use it against you in phishing attacks and other Social Engineering ploys. So how do you identify a short URL, and what can you do about it? As you can see, that is quite a difference. A side effect to this is, you can’t see where the link takes you. Make a button link a Small URL, and it is very easy to hide a malicious URL. For example, this button links to the KnowBe4 page, but how can you tell? Hovering over it just gives you the Short URL. So what do you do? In most cases, adding a “+” sign to the end of the Short URL will take you to a preview page where you can see the full URL. There are exceptions, like TinyURL, that require you to do something different, such as add “preview.” to the beginning of the shortened URL. To get the URL to use, simply hover over the link with your mouse, right-click and choose “Copy Link Address” or a similar choice. On a side note, goo.gl links give an entire analytics view of that Short Url. For example, check out https://goo.gl/2OA1y+ and you can see the data. Ow.ly and t.co have proven to be a bit more difficult. In this case, using a service such as Unshorten URL or getlinkinfo.com to preview the link may be your best bet. This will also work with the other short URLs. Once you have pasted the link in to the site, you should be able to see the real website the link is taking you to. If it’s not what you expect, don’t click it! This may seem difficult at first, but once you have done it once or twice, it’s very easy to make sure you are staying safe from hidden malicious URLs.